It's snowing in the city ! I love the snow, but I confess I prefer a snowy day when I am on the moutains and especially when I am on holiday, otherwise it makes it a bit complicated to walk to go to work and to go by car. My readers know how much I love high heels, I really rarely wear flat shoes apart from UGG boots and the boots I am wearing in these pics...they are really warm and have some heels, which I like !. Big, comfy sweaters like the one I am wearing (from Carla G), denims with heavy tights underneath and comfy shearling boots are one of my fave outfits for a snowy day ;-). What are your views on snow ? Do you prefer to go out with a casual look or do you risk falling down on iced snow just not to leave your stilettos ?. Sta nevicando in città ! Amo la neve, ma confesso di preferirla in montagna e, comunque, quando sono in vacanza, altrimenti già camminare sulla neve o usare la macchina diventa complicato !. 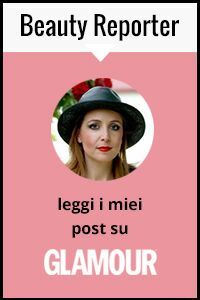 Chi mi legge conosce già il mio amore per i tacchi alti, calzo raramente scarpe basse a parte gli UGG e gli stivali che mi vedete indossare in queste foto...sono caldissimi e hanno anche abbastanza tacco, il che non è niente male !. Comodi e larghi maglioni come quello che indosso (di Carla G), i jeans indossati sopra ai collant pesanti e comodi stivali di shearling compongono uno dei miei outfit preferiti per una giornata all'insegna della neve ;-). Quali sono le vostre abitudini quando nevica ? Preferite uscire con look casual oppure rischiare di scivolare sul ghiaccio pur di non abbandonare i vostri tacchi a spillo ?. Anyway, when it snows on the city I feel more at ease by looking at it from my window, also because this cold weather is perfect for staying inside, enjoying the warmth of our home. A good movie or an episode of Gossip Girl (let's hope Chuck and Blair reunite finally ! ), a cup of hot tea or hot chocolate, a good company or a nice book, a blanket and we can turn this weekend in a mini holiday to take our stress away ! So, I wish you all a great weekend and we can leave our stilettos for next time, when the snow will be melted !. Comunque, quando nevica sulla città mi sento più a mio agio godendomi lo spettacolo dalla finestra, questo tempo freddo è perfetto per starsene in casa al calduccio. Un buon film o una puntata di Gossip Girl (speriamo che Chuck e Blair si riuniscano finalmente ! ), una tazza di the caldo o una cioccolata, buona compagnia o un bel libro, una copertina e possiamo far diventare questo weekend una piccola vacanza anti stress ! Allora, vi auguro un buon fine settimana e possiamo anche lasciare i nostri tacchi a spillo per la prossima volta, quando la neve si sarà sciolta !. 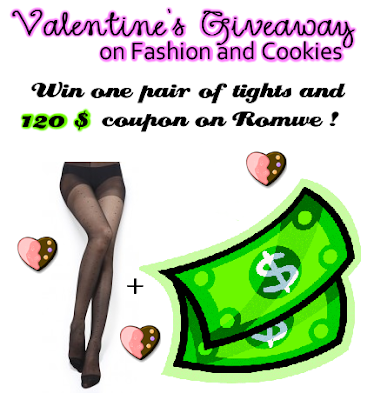 Don't forget to enter the amazing Giveaway, there's a chance to win a 120 $ gift coupon to get anything you like on Romwe.com plus one pair of tights on your choice, they have so many nice clothes and accessories ! The giveaway is open internationally until February 14th, to enter fill in the Rafflecopter form you find here !. Great and comfy outfit for a snow day, have a great weekend Vale. Bello il maglione e anche glis tivali...io mi sono dovuta comprare gli hunter a bologna e ora che sono a roma la neve mi ha seguita fino a qui!!!!! Finalmente un outfit da neve credibile, nel senso che fino ad ora avevo visto solo outfit da polmonite assicurata, questo invece mi pare che possa garantire una buona protezione dal freddo, oltre che essere gradevole da vedere! I love your outfit! Nice sweater! hehe stay warm. love that color on you, and the cowl neck and hem of the sweater!! what a comfy and stylish outfit. i love heels too but wear flats all the time. Questo maglioncino è un amore!!! LOVE those boots and love your idea for a cozy weekend inside! vale, nice jade green comfy soft sweater. i prefer the snow from a distance, like on some mountains outside my window, but not close enough that i have to walk in it, or drive in it, or shovel it. ;) i'm heading back to the rocky mountains this week. i hope the snow doesn't make an appearance. Great look, I really do like your sweater and shoes! You look so cozy! I miss wearing snuggly outfits like this here in Hawaii. Enjoy the snow! Such a great cozy winter look! Snow is a gorgeous way to decorate the city. Your sweater is comfy and pretty. Great outfit! I also prefer snow when I'm on holiday, or if I'm in the city, I don't want to have to go anywhere. I'm getting old haha. Ahh I hope Chuck and Blair get together too... Can't wait for next episode. Looking lovely, the green suits u well. love the jumper, the colour is really nice!! Thanks for the lovely comment on my blog gorgeous! That sweater looks great on you! I entered your giveawy too! i can't stand snow. it's just TOO COLD. i'm cold natured anyways, so it just doesn't help matters any. plus, it always makes my hair flat. you look great though! Lovely outfit! Love the color of your sweater! love the petrol blue on you... really suits you... you look fab..
thanks for the nice comment on my blog and of course i follow you now!! love the look!! Thanks for stopping by my blog the other day. And Congrat's on being newlywed! That is really exciting! Love the color on the sweater and you look great wearing it all. Me encanta el estilo que tienes, besos. What a lovely sweater. I want that one too and also your boots..Hmm, It's quite difficult to find the occasion to wear them..
thanks for visiting my blog and leave a lovely comment. Btw, I've followed your blog. WOW, girl! You obviously manage to look gorgeous whatever the weather is like! Now, I'm green with envy for that sweater! LOL! I also see you're another Gossip Girl buff, just like me! Hope C and B end reunited, too! The sweater's color is awesome!! Me piace molto tuo blog,te seguimos,saludos desde Barcelona. Hi! Thanky for visiting ,e - this way i found your lovely blog. I like the shoes you wear here - a bit of heel but comfy enough. The colder it gets, the less vain i get, but i miss earing heels! Yery cold here in germany! i'm so in love with your jumper. the colour is amazing and it suits you so well. kisses and please have a look at my newest post. Love your sweater and boots! Thanks so much for commenting on my blog! Great blog! Love your outfit, specially the sweater and boots! Thanks for the lovely comment on Glitterati and Glamour. I'm following you now and would love if you followed me back! Thank you :) Ha, good to know! What's your favourite series? Bello il colore del tuo maxipull e anche gli stivaletti, sono adatti a queste temperature, ma molto carini! Mi piace tantissimo questo outfit anti-freddo,ottimo! !Io di solito indosso una pelliccia (Eco!) e i miei simil UGG =)Xoxo C.
Thank you for visiting my blog. I'm now following you. what a pretty outfit. I love that color on you. Gorgeous pop of color dear! Love your blog! Thanks for visiting mine! And the large sweater is so easy to be cozy and comfortable in. Love your sweater such a pretty color! Stop by sometime and check out my latest post on Blazers. I'd love to hear what you think! Like your look!!! Pls visit me http://poshfashionelle.blogspot.com/ See you soon! I really love the color of the shirt!